The high efficiency of these Mitshubishi Mr. 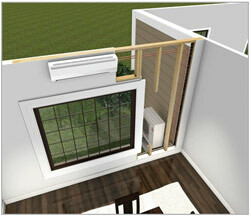 Slim Mini Split Ductless Systems like SLZ-KA09NA helps them pay for hemselves by slashing electrical costs. Strong, quiet and efficient DC motors are used both indoors and outdoors. This Mitsubishi`s Super High-SEER mini-split heat pump will provide you with 14.100 BTU of heating for winter and 3/4 ton of cooling for hot summer and it comes with 1-SLZ-KA09NA floor console unit with wireless remote control (NOT Included). This unit can be connected to the any modern MXZ-B - outdoor condensing unit. Complete system creates the perfect climate control for your space. High performance fan blades, condensers and evaporators combined with variable speed inverter-driven compressors are made for unmatched performance. Variable speed compressors automatically adjust to fluctuating room capacity requirements. Since mini splits have little-to-no ducting, they forego those energy losses typically associated central forced-air systems. Duct losses can easily account for more than 30% of energy consumption, especially if the ducts are not sealed tight or in an unconditioned space such as an attic or crawlspace. What is Mitsubishi Mr. Slim SLZKA09NA Inverter Compact Floor-Mounted Console Heat Pump? The new range is specifically designed to discreetly sit at 24"x24" ceiling space level and could replace traditional floor and wall mounted heating appliances such asnight-store heaters. Long air outlets deliver wide air streams for excellent air distribution and energy savings. This feature means quieter air delivery with fewer drafts and great overall cooling and heating coverage A comprehensive deodorising and air purifying filter system will ensure healthier and cleaner air. It does have 4-way air distribution and flush mount ceiling grill. In the HEATING mode each air outlet vane operates independently, distributing warm air in multiple directions for the best in room heating. Each of the four vanes can be set by the wired remote controller (NOT Included) to operate independently to match the room layout. Specific vane settings include five fixed directions plus swing. Mitsubishi Mr. 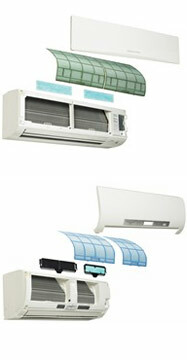 Slim SLZKA09NA Inverter Ceiling Cassette Heat Pump - Maximum Heat Output, Optimum Air Distribution. Perfect room temperatures at any time are realised through dual top and bottom air flow with thermostatically controlled vanes to eliminate cool drafts whilst heating. Mitsubishi Electric Inverter Control (unlike other brands) will allow maximum rated heat output indefinitely without the requirement to return to the nominal rated output. Optimum comfort conditions are guaranteed in the shortest period of time. This is vital when outdoor temperatures drop below freezing point or when the unit is first turned on. •Stylish, slim and elegant, Ceiling Cassetteole units are designed to complement any interior decor. •Long-life air filter included with indoor unit. •Built-in drain mechanism for condensate removal; lifts to 19-11/16"
•Wired remote control (NOT Included). 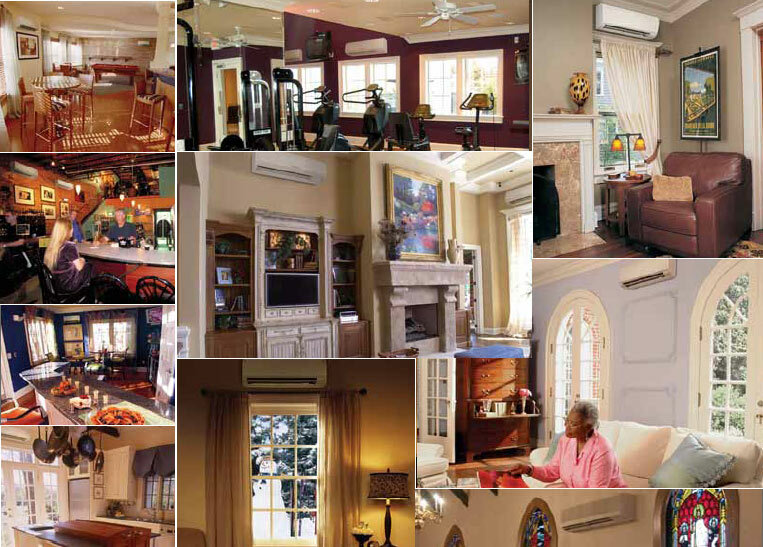 •Maximizes energy savings by making sure only the energy needed to cool or heat an area is used.Mitsubishi Mr. Slim Programmable ComfortSmart Set featured on MSZ-GE systems provides the option to program multiple settings into one "quick" press feature providing an additional level of comfort control. •Mitsubishi Electric offers a comprehensive remote controller (NOT Included) that controls temperature, fan speed and more. Choose from four modes: COOL, HEAT, AUTO and DRY. The controlleralso has a 12-hour ON/OFF timer for one-button control of your personal comfort. •All Mitsubishi Mr. Slim Systems Have ISO and ETL Approvals for U.S. and Canada. •Environmentally Friendly and ARI performance certified. •Sleek, Modern Design with Easy to Access Controls and Visible System. •Auto Louver: Up/ Down - Wall Mounted Units Only. •Coil Dry Mode - Wall Mounted Units Only. •Quiet Mode - Wall Mounted Units Only. •Return Air-intake - Concealed Units Only. •Branch Duct Capable - Concealed Units Only. •Mitsubishi Mr Slim SLZ-KA09NA Compact Ceiling Cassette Console Unit. •PAC-AKA31BC - 3 Port Branch Box. Important Note: The Mitsubishi SLZKA09NA is not a complete mini split system. It contains only the SLZKA09NA Indoor Unit and requires a compatible Mitsubishi Mini Split Outdoor Condenser.